At GVEC Home®, we view HVAC breakdowns as one of life’s most stressful events, but after-hours AC/heating breakdowns can be especially traumatic. Who can you turn to at 3 a.m. in the middle of winter or summer when your AC/heating system has stopped running? Not to worry–at GVEC, we offer emergency HVAC repair services 24/7, 365 days a year (866.684.2359). No one wants to suffer an after-hours AC/heating breakdown, but if you do, it’s nice to know you’ve got a neighbor you trust who’ll be there to get your system back up and running no matter the time of day. Although we’re always on standby, we also firmly believe in the old saying that “an ounce of prevention is worth a pound of cure.” When it comes to your AC/heating system, that “ounce” of prevention might be worth several thousand dollars: Repair bills and the need to prematurely replace a system can hit your budget hard. To help GVEC members avoid such misfortune, we’ve compiled this list of ways you can help prevent unexpected, after-hours AC/heating breakdowns. Clogged, dirty filters are one of the most common causes of AC/heating breakdowns. Regularly changing the filter is one of the easiest ways for homeowners to keep their system running optimally. How often should you change it? Filters come in a variety of ratings based on how long they last. Our advice? To help avoid after-hours AC/heating breakdowns, change your filter every month. To save money, some people shut their system off completely when leaving for long periods (work, vacations, etc.). We strongly advise against this. Forcing your AC/heating system to cool/heat your home from an off position causes it to work extremely hard to reach the desired temperature; a regularly overworked system is a breakdown waiting to happen. Upon installation, these Nest Learning Thermostats track your usage, learning your preferences and creating an individualized heating/cooling routine. The thermostat then begins automatically making adjustments without further input. With a Nest, your system will run less often overall, saving system wear and tear and helping prevent breakdowns. Call GVEC Home for special pricing and exclusive installation savings on a Nest Learning Thermostat. Once your Thermostat is up and running, you can reap even more savings with our Rush Hour Rewards program. Ask us how it works when you call or visit gvec.org for more. For homeowners with unused rooms, it’s tempting to close AC vents. Why pay to heat/cool an unused room? It may seem counterintuitive, but the idea of saving money by closing vents is a costly myth. Your HVAC system is designed and calibrated to handle specific output and input pressures. 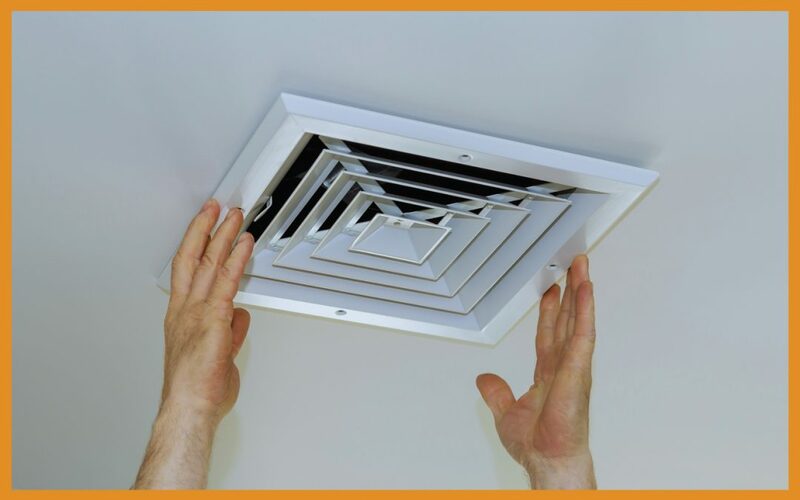 Closing vents can throw the system out of balance, causing problems of functionality and dependability. No matter your system’s age—even if it’s new—it needs regular maintenance. In fact, did you know that not regularly maintaining your system could invalidate the warranty? At GVEC Home, we recommend twice yearly system tune-ups. This is why we created our seasonal Comfort Check maintenance plan. With Comfort Check, you can rest easy knowing your system will be properly maintained year-round. Get more info at gvecACservice.com. Is your AC/heating system more than 10 years old? Have you noticed a decline in its effectiveness and/or efficiency? Do you find yourself frequently paying to have it repaired or have you suffered multiple unexpected breakdowns? If you answered yes to any of these, it might be time to consider a new system, which can give you a fresh start in keeping your home comfortable. But remember: Even a new system needs regular maintenance.